The new HT60 temperature controller from Hillesheim is a compact and robust industrial controller for use in machine, plant and apparatus engineering. 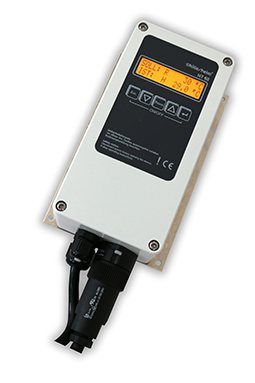 The compact design, high switching capacity and simple, intuitive operation are the special features of this temperature controller. The HT60 is the logical further development of the current HT40 family, which has been successfully represented in the market for many years. The contactless and wear-free switching of power via a triac makes the controller a perennial runner. The limiter function combined with a remote reset of the limiter increases safety without loss of comfort. The text-based menu navigation on the LCD display guarantees easy and uncomplicated operation of the controller. The freely configurable PID controller and the diverse connection options make the controller a universal controller in the industrial environment. Different operating modes, alarm limits and a time function are only a few features of this temperature controller. The option package with external setpoint input and a ramp function once again expands the possible applications for the customer. On request, the controller is delivered preconfigured, allowing quick and easy use at the end customer’s site. Customer-specific adaptations or an OEM version can also be realised. The in-house development of the temperature controller and Hillesheim’s production in house guarantees a high quality, reliability and a long availability.